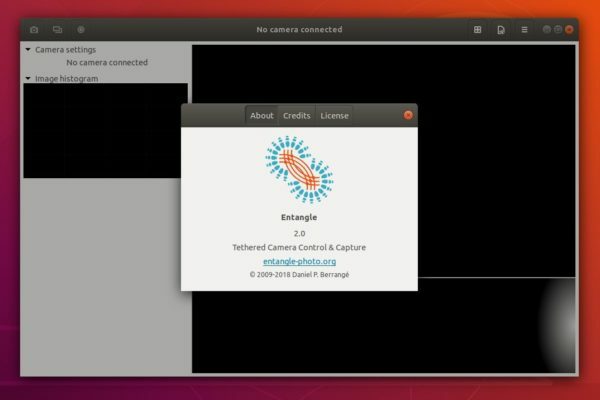 Entangle, free tethered camera control & capture software, released version 2.0 a few days ago. Here’s how to install it in Ubuntu 18.04, Ubuntu 18.10, and derivatives. The new release packages has been made into an unofficial PPA, available for Ubuntu 18.04, Linux Ming 19.x, and Ubuntu 18.10. Due to requirement of GTK >= 3.22, Ubuntu 16.04 package is not supported any more. Type user password when it prompts and hit Enter to continue. 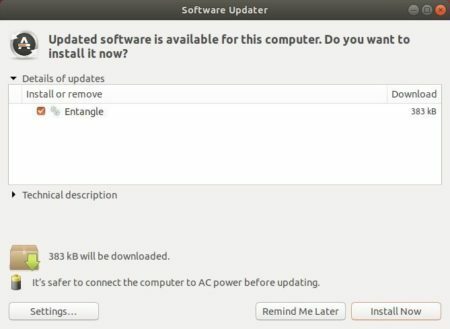 For Linux Mint, you may first run sudo apt-get update to refresh system package cache. Many thanks for this howto – installation proceeded without a problem. I’ve been trying for several months to compile the latest Entangle v2.0 without success …. The package installed on 64bit Ubuntu 18.04 for Intel/AMD64, which OS is also available for Raspberry Pi 3. Would it be possible using your ppa to install Entangle on RPI 3 (current version of Entangle available through Raspbian apt-get install is 0.71) ?